Inspired by the Swedish love of long, flowy dresses in the summer as well as my beloved Rae linen skirt, I decided to give a really light viscose fabric a try. I picked up 2.5 meters at a Saturday afternoon fieldtrip to the Sundbyberg Textilcentrum. I put this skirt on hold because I didn’t want to go to the effort of adjusting the pattern. I wanted a skirt that actually properly covers my bottom and thighs, so needed to make sure it was long enough. I also needed to see just how much my measurements had changed. There’s nothing wrong with needing to adjust patterns and this pattern only goes up to a size 16 or 35″ at the waist – I tend to wear a 22/24 RTW, but it’s been ages since I tried on anything RTW. The discussion regarding how I feel about how much my weight fluctuates is really a post for another time, though. I simply increased the pieces to meet the larger hip measurement, figuring that the really light viscose material wouldn’t be too bulky when it gathered. The cutting and sewing went just fine. 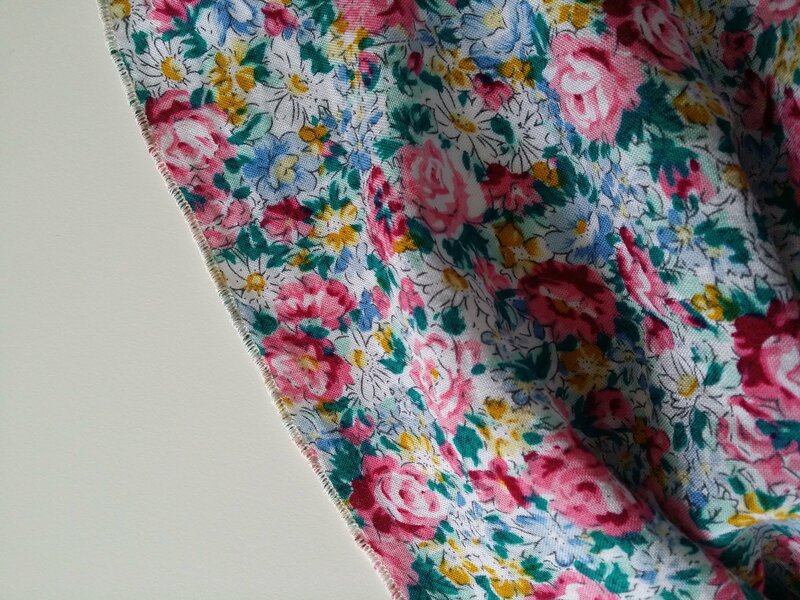 I was so pleased to have the overlocker as it makes finishing the seams just go so much faster! The seams also really needed to be finished as this fabric frays whenever you touch it. I debated a bit between choosing white or undyed thread and went with the natural color. You can’t see it on the outside, but the color looks very nice with the fabric. Fred helped with the hemline by measuring up from the floor. Next time, I’ll ask for more measurement points staggered better across the skirt – but live and learn! I marked the skirt just over each pin with a permanent marker (nothing else would show up the multi-colored fabric and cut it out). I spent some time debating between a folded hem on the sewing machine versus the narrow rolled hem on the serger and went with the rolled hem. This skirt is absolutely fantastic! It’s so light and floaty, I keep wanting to spin!. It could possibly have been a few centimeters shorter, but it also works to just roll up the waist band or wear it a tad higher. It’s nice to have the extra length to play with. It was pretty windy during our photo shoot! I’m in love with this skirt and am wearing it every chance I get! Thanks again to Fred for the photo shot! Previous Previous post: Fred’s new sweater has arrived!